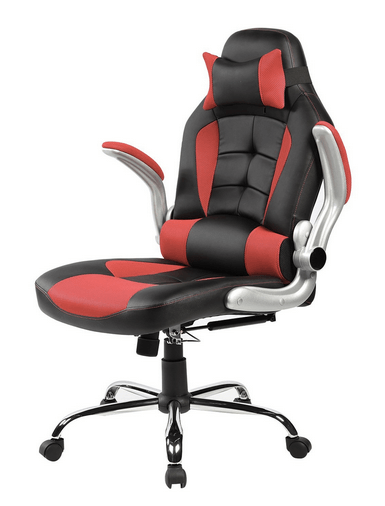 While considering the comfort, durability and unique features, we highly recommend the Merax High-back Ergonomic​ from Amazon.com as the top gaming recliner chair for ​a complete gamer's experience. ​Complete with sturdy bonded leather upholstery that is smooth to the touch. Its unique design not only allows you to hear your music​ but actually ​experience it. ​​​Playing a game​ or movie-watching​ has never been this intense. ​Ergonomically design for comfort for those who work at desks for long periods. ​Luxury Racing Car style with an executive feel. What Makes a Reclining Desk Chair Great? 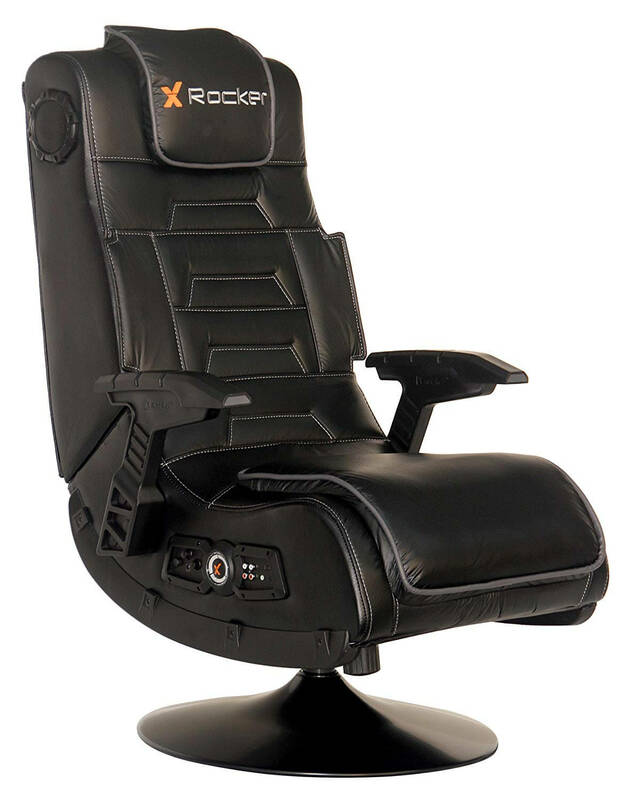 Gaming recliner isn’t as well-known as they should be. They not only have a unique and stylish look to them, but they also support positive health for prolonged use of sitting at a computer desk. Let’s go over some of the distinct qualities of the gaming recliner chair that make them worth the purchase and upgrade. They not only support your lower back but they support your neck and lumbar area as well. This is especially important for people of all ages because while you might not think about it now when you’re around retirement age, you will wish you had treated your back better. Gaming recliners have unique spread out soft cushioning that works together to relax every area of your body when laying back or sitting. They’re generally cost-effective, unlike competitors of similar products would have you believe. You can get a gaming chair in general for as low as $20 and while it might not be the highest quality product, there are great products out there for a mere $100. There’s a lot of brand name office chairs that don’t offer the same benefits as a gaming recliner but end up costing the consumer over hundreds of dollars. These features of the reclining chair for gamers (which will vary by brand and chair model) give you customized relaxation. For example, some gaming recliners offer a built-in audio system, some chairs offer customizable parts, removable cushioning and even fold up to a manageable size so it can be easily stored. So while there are quite a few benefits to spending money on a recliner chair, there are some people that are still put off by the idea of gaming recliner chairs and think they’re nothing more than a marketing scheme to get you to spend money. While this holds true for every company in the world, I want to remind you that brand name office chairs can cost up to hundreds of dollars. Why do they cost so much money? They all look the same, none of them are comfortable and the only thing that’s different is usually the brand name. Your lower back and spine are under enormous amounts of pressure all day. Your spine will desperately fight to keep your head at the level view to your monitor and your lower back is probably sitting in an awkward position. You might think this isn’t a big deal but over time, you could suffer chronic back pain as a result. Your less focused and less concentrated when you’re not comfortable. People who are struggling to find a comfortable sitting position or struggling with back pain in a chair, aren’t exactly in their best state of mind and are probably rushing through work to get out of there. It’s been shown that your performance as a gamer can improve when you’re in a comfortable seating position. ​With so many gaming recliner chairs for gaming on the market today, you might be thinking to yourself, “Which one should I buy?” There are a lot of amazing products out there that don’t cost an arm and a leg. We’ve gone through three of the best gaming recliners on the market and will lay them out for you with all the features they have to offer and our final thoughts on them. Our first reclining desk chair comes from a great company known as Merax as a fully functional tilting and swivel gaming chair. It rolls around and can easily double as an office chair as well. 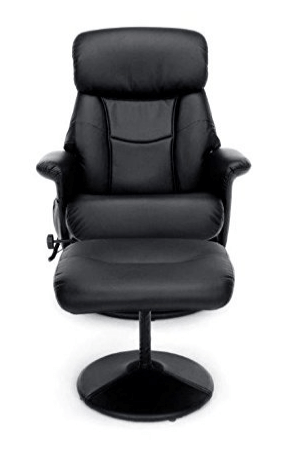 As a reclining chair for gamers, it is at the top of the list for most gamers. The armrests are padded nicely with foam that won't compress over time. Ergonomic and well thought out design means you can sit comfortably for long gaming sessions without feeling that body fatigue from lesser chairs. Lumbar support should be important to you as you don't want to do any damage to your back with your gaming, so the lumbar pillow will ease the pressure on your lower back. it is removable, however, if you would rather not use it. Having a hideaway foot rest is a nice addition if you want to be able to lie back and recline with your feet up to improve circulation. 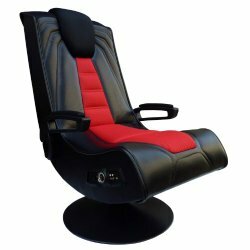 While this reclining desk chair isn’t as flashy as some of the gaming recliner chairs you’re used to, this chair isn’t just a reclining gaming chair but can also be used in other areas of the home outside of the gaming room or in a business casual office. Though this is marketed as a reclining desk chair, I find that the fact that the arms are not adjustable to not make it ideal for desk duty. Unless your desk is very high, you won't get as close as you need to to be able to work. 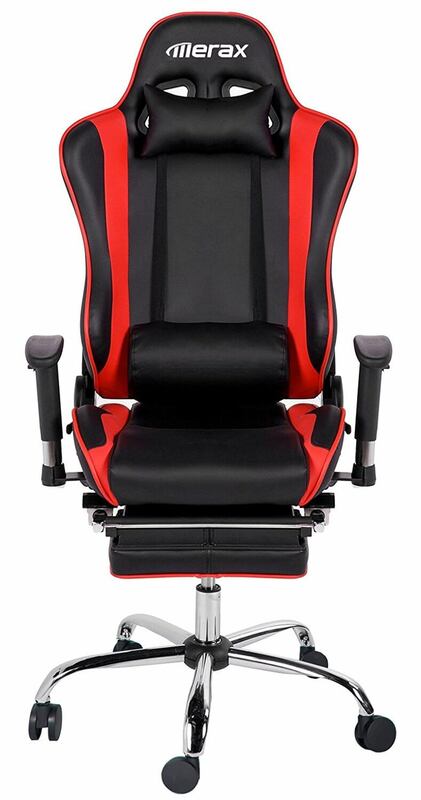 It is great as a reclining gaming chair since it is so comfortable. If you are looking for a chair that looks a little more mature than most gaming chairs, then this one is definitely in that ballpark. Another Merax product that’s constantly running out of stock, so this is one of those chairs that you might want to make haste on and order quick if it’s interesting to you. 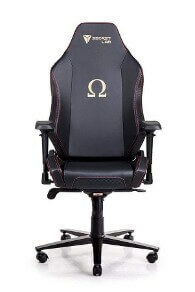 If you end up with back pain after prolonged gaming sessions then the ergonomic design that gives good lumbar support should put this reclining gaming chair on your radar. Even if you don't have back issues, you will want to keep it that way so buying this chair is always a good idea. The adjustable armrests also go all the way up making this an ideal reclining desk chair if you want it to do double duty for work and for gaming. ​If you’re someone who spends a lot of time on the computer or spends a lot of time gaming, it’s vital to not only your game performance but the health of your back that you have a chair that supports it. We’ve dug through the trenches of reclining gaming chairs to find 3 of the best gaming recliner chairs for your money and for your comfort. You won’t be disappointed at the level of comfort provided and to the overall enjoyment of your computer sessions that you’ll experience. They’re fairly cost effective and a great gift to give someone for their birthday or for this holiday season, which is right around the corner.